This blog was written by Sandra Ratcliffe from Oldham Local Studies and Archives. It tells the story of HMS Amphion, an Active-class scout cruiser which became the Royal Navy’s first loss of WWI. Image 1: Photograph of the HMS Amphion, launched on 4 December 1911. Wikimedia Commons. At the beginning of the war HMS Amphion was part of the 3rd Destroyer Flotilla, defending the eastern approaches to the English Channel. On Wednesday 5 August 1914, HMS Amphion was carrying out a search of the North Sea, when they were informed that a suspicious ship had been spotted nearby. The ship was the German minelayer, Königin Luise. 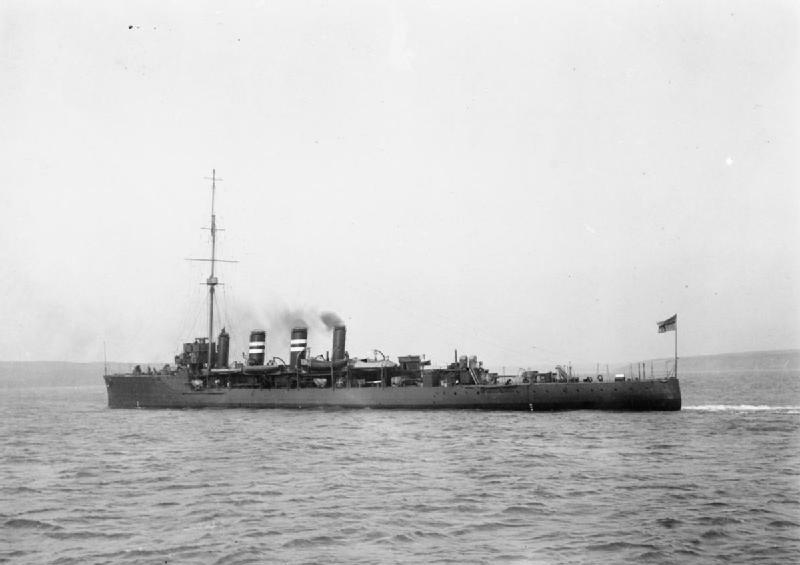 The German ship was chased down and sunk, and the HMS Amphion picked up any survivors. It then continued on its search, later preventing the sinking of the St Petersburg, which was carrying the German ambassador back to Germany. Having completed her search, HMS Amphion turned back for Harwich. However, at 6:30am on 6 August she struck a mine that had previously been laid by Königin Luise, killing over 150 British sailors and 18 of the crew rescued from Königin Luise. Among the British sailors who lost their lives was the first Oldhamer to die in the war, 1st Class stoker Frank Morrison. Frank Morrison was born in Oldham in 1887, the son of John and Mary Morrison. On leaving school he worked at Messrs Platt Brothers and Co Ltd. in the saw-mills department. He later joined the Territorial Force, where he was an active member prior to joining the Navy in 1912. Image 2: Frank Morrison – Oldham Weekly Chronicle. He was due to come home on leave on 5 August 1914 to see his wife Elizabeth, his son James (aged four years) and daughter Julia (aged seven weeks) at their home in Mordaunt Street, Werneth. However, all leave was suspended and he had to remain on duty. When intimating to his wife that he would be unable to come to Oldham, he told her not to send any further letters as he was going on active service and could not tell her where he would be. There is a great deal of sympathy in the district in which the widow lives, with her in her bereavement. The blinds in the houses are drawn, and doubtless something more practical will be done to show that her late husband’s death shall not go unnoticed. The Morrison family have certainly served their country as far as could be expected. The father was a soldier for many years and two brothers are at present in the Navy, and may be at this moment on the scene where a battle is more than likely to be waged. 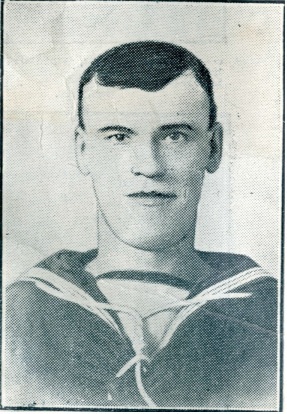 Image 2: Photograph of Frank Morrison – Our Local Heroes: Second War Supplement of the Oldham Weekly Chronicle, 13 Mar 1918, p.1. This was very interesting, thank you. I am trying to find details of a crew member who I think was a relative of mine; William Henry Charles Critchley, Engine Room Articifer 3c, 271284. I think there might be a family connection as my grandfather was Charles Henry Critchley and he called his first son William.